9:15am - 10:45am Presenter: Jill Stinson, Ph.D. This workshop will provide an overview of Motivational Interviewing. This workshop will provide a history of the Blues including evidence of its effectiveness with various populations, and social groups. Examples on how to use the Blues to pinpoint specific areas of life stressors and allowance of each to tell their own story. Successful stories of the Healing Blues Experience with children and adults in Social Work. The key components of the Healing Blues, including self-assessment, will be reviewed as well as the importance of music education for children and adults. 2:00pm - 5:00pm Presenter: Paul Baggett, Ph.D., L.C.S.W., A.C.S.W. The NASW Code of Ethics has been revised. The revised Code became effective January 1, 2018. Social workers have responsibility for adopting the revisions into their work. New standards have been added and others changed. Many of the revisions regard the use of technology in social work or “technology-assisted social work services.” Standards regarding the use of technology have been added in key ethical areas including: practitioner competence, client privacy and confidentiality, informed consent, conflicts of interest, boundaries and dual relationships, and documentation. Revisions to the Code of Ethics give direction to social workers on the ethical use of technology in their work. 8:00am-9:00am "Preparing for Social Work Licensure (no CEs)"
This NON-CE workshop provides information and tips about preparing for the LBSW, LMSW, and LCSW examinations with emphasis placed on Tennessee requirements. 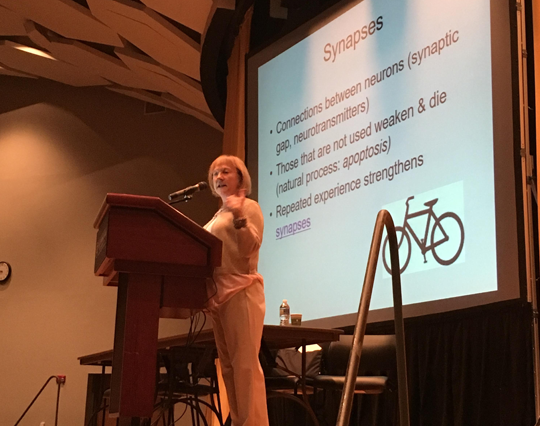 9:15am-10:45am "Brain Development in Early Life (1.5 CEs)"
Although we often say “young children are resilient,” they are also vulnerable during this time of high neuroplasticity. The brain is developing rapidly in the first three years of life, which means that both positive and negative experiences are likely to play a role in organizing the brain. In this workshop we will talk about the mechanisms through which early experience influences brain development for both good and bad. 11:00am-12:30pm "Overview of Trauma-Focused Cognitive Behavioral Therapy (1.5 CEs)"
This workshop will provide a brief history of the TF-CBT model, including evidence of its efficacy with various populations. The key components of the model, including trauma assessment, will be reviewed. Participants will receive information about how to receive further training. 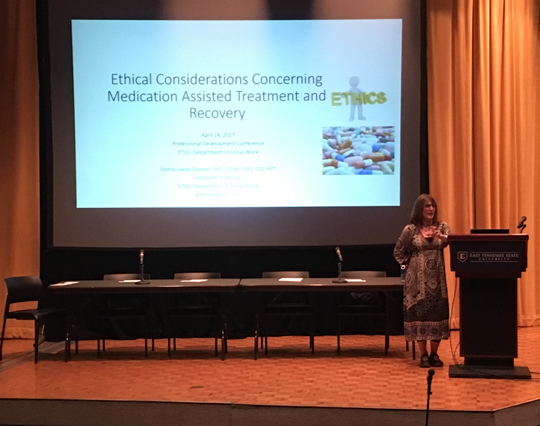 2:00pm-5:00pm "Ethical Considerations Concerning Medication-Assisted Recovery and Treatment (3 Ethics CEs)"
Upon a foundation of ethical principles, this session will explore several facets of the opioid epidemic. First, an overview of the epidemic will be presented, focusing on the eastern Tennessee and western North Carolina regions. Next, treatment frameworks will be reviewed with an emphasis on Harm Reduction philosophy. The session will conclude with an examination of the common myths relative to Harm Reduction and medication-assisted treatment and recovery. A Q & A period with a panel of experts will close the session. This is an excellent opportunity to meet social workers, learn about area social work services, connect with other agencies, find volunteer opportunities, further your employment search, and for agencies to recruit future employees. • Brittany Wilkins, Ph.D., LCSW will discuss tips for resume construction, conducting job search, completing and submitting applications, writing a cover letter, and preparing for the all-important interview. • Jonathan Hartsell, LCSW will give information and tips about preparing for the LBSW, LMSW, and LCSW examinations with emphasis placed on Tennessee requirements. This workshop is for the average citizen who goes to work, shops, goes to school, is out in public and may be the victim of a crime. Criminals are out there hoping you will be distracted or alone and an easy target. The class will provide ways to be a hard target or to avoid or escape dangerous situations. This workshop will address simple everyday things we can do to make it harder for anyone to take advantage of us. This workshop will address neonatal abstinence syndrome (NAS), which is a group of signs and symptoms that may be observed in a newborn due to withdrawal from substances to which the fetus was exposed during pregnancy. Rates of NAS in Northeast Tennessee are the highest in the state. Dr. Thomas will discuss the etiology, diagnosis, and management of NAS. She will describe the epidemiology of NAS in Tennessee, with a focus on the Northeast region, and discuss the primary, secondary and tertiary prevention of NAS. "Ethical Considerations when Working with Non-Religious Clients"
This workshop will consist of three segments that address the ethics of working with nonreligious clients. These ethical responsibilities reflect the NASW Code of Ethics, specifically within Section 1. Social Workers’ Ethical Responsibilities to Clients. The workshop will begin with an introduction to terminology surrounding religious and nonreligious belief systems. This will be followed by a review of the research ethical best practices when working with nonreligious clients. 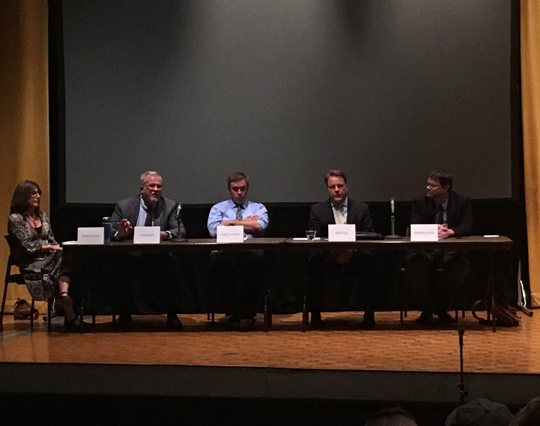 Last, a moderated panel of clinicians will discuss ethical issues and case examples of working with non-religious clients. Workshop attendees will also be given the opportunity to ask the panel questions regarding this area of social work practice. "My Job is Talking to Kids: Forensic Interviewing"
Amy Whitt-Bachman is trained in the nationally-recognized Cornerhouse Forensic Interview Protocol and has completed more than 3000 forensic interviews during her time at the Children’s Advocacy Center (CAC) of Sullivan County. Participants in this workshop will learn about a forensic interview protocol, the process of a child abuse case once reported to DCS, and about training to become a forensic interviewer. In addition, Amy will discuss the CAC of Sullivan County and the services provided. "Defining the Good Life: Putting Values into Action"
Phillip Keck, a psychology resident at James H. Quillen VA Medical Center and positive rehabilitation researcher, would like to know “What is good about you?” This is a question social workers may often ask their clients. This workshop will focus on identifying and employing a social worker’s own strengths as change agents to increase knowledge and skill in engaging clients in structured strength-based intervention. Supported by ample empirical evidence, the Classification of Virtue and Character Strength (Peterson & Seligman, 2004) will be reviewed, applied, and discussed. "Ethical Considerations When Working with Lesbian, Gay, Bisexual, Transgender, and Questioning/Queer Clients"
Dr. Patricia E. Robertson, a Licensed Professional Counselor-Mental Health Service Provider and Professor Emeritus of Counseling at ETSU, will present an overview of working with clients who identify as lesbian, gay, bisexual, transgender, questioning, and/or queer. In addition, this workshop will include a panel of clinicians who will discuss ethical issues and case examples of working with LGBTQ clients. Workshop attendees will also be given the opportunity to ask the panel questions regarding this area of social work practice. 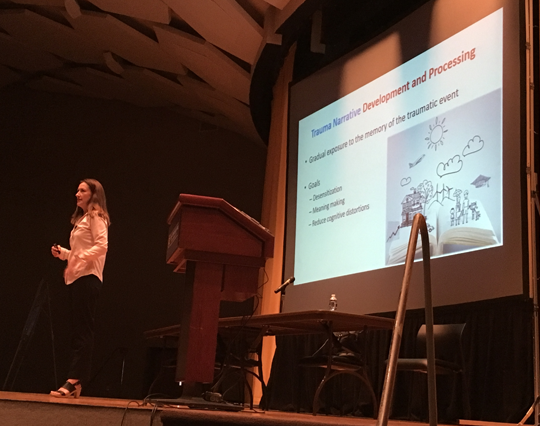 • Recent ETSU BSW and MSW graduates present their experiences successfully searching for jobs and answer audience questions. "The Relevance of Buddhist Teachings in Psychotherapy"
A student of Buddhism and psychotherapist in private practice, Linda realized the relevance of Buddhist Teachings to psychotherapy--especially Existential Therapy. This hour and a half interaction features comparative elements of Existential Psychotherapy and Buddhist Teachings and her research in the growing movement towards the application of Buddhism to Western Psychotherapy. A brief review of the effects of mindfulness meditation on brain chemistry will be included. "CBT for Substance Use Disorders"
Mina McVeigh is certified in CBT by the Cognitive-Behavioral Therapy Center of Western North Carolina and is also a certified trainer for SMART Recovery, an addiction recovery program. Attendees will learn cognitive and behavioral skills and techniques for substance use disorders in individual and group therapy. A brief review of relevant DSM-V changes will also be included. "Ethical Considerations When Working with Older Adults"
Dr. Jina Lewallen is a Gerontologist/Licensed Clinical Social Worker who practices social work with older adults, older homeless adults and older adults with mental health/substance abuse concerns. She provides APS (adult protection) training for programs around the country. This workshop is designed to give social workers information and education to help guide them in working with older adults through case study examples and discussion of ethical issues in areas of work and practice with older adults including: physical and mental health care and treatment, family and friends, abuse, neglect, and exploitation among other topics.